Subway riders are among those who will be affected by the recent fare increase set to take effect on July 1. Was this the fare hike finally heard on Beacon Hill? 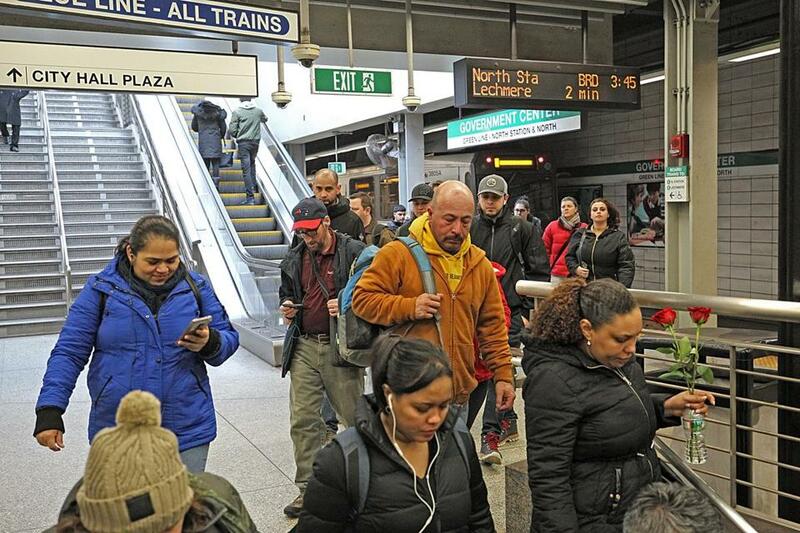 The Massachusetts Bay Transportation Authority’s board of directors last week approved a 5.8 percent fare hike that will take effect on July 1 — but only after frustrated board members said state leaders should find other ways to fund the T going forward. One MBTA board member, Brian Lang, said he heard plenty of complaints from state lawmakers about the fare hike. If they’re so concerned, Lang said, they could step up and take a tough vote on funding transportation just as the T directors had to. Maybe that message is getting through. One day after the T board voted to increase fares, House Speaker Robert DeLeo appeared before an audience of business executives and challenged them to develop a proposal to fund transportation all across the state. As it happens, several Boston-based business organizations already have begun to do so. The MBTA’s board on Monday approved a fare increase aimed at bolstering its budget, but agreed to keep fares stable for bus riders, seniors, and riders with disabilities. Meanwhile, the president of the state Senate, Karen Spilka, recently promised to form a working group to drum up solutions. Then there’s Governor Charlie Baker, who has argued since 2015 that the state does not need to raise taxes or other revenue sources for transportation, so long as the T does a better job of managing its budget and raising fares every now and then to free up money for improvements. And the Baker administration has sharply increased spending at the T on repair and construction work — in part by getting the agency to cut costs elsewhere. The T has had its problems in recent years, but officials have mostly followed Baker’s fiscal playbook. 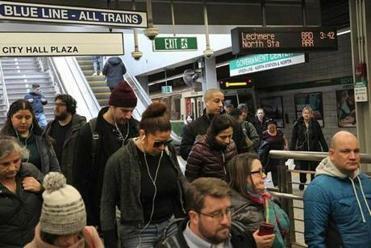 The MBTA finished last fiscal year with a balanced operating budget, the first in a decade, and the nearly $30 million fare increase approved last week was the fourth in seven years. State officials believe there are still savings to be had, such as with the agency’s rapidly increasing pension costs. Others argue the T hasn’t yet proven it can even properly spend all the money it has on hand. But some members of the T’s board say they — and the staff who run the agency — are approaching the limit of what they can do to improve the system with the tools at hand. The frustrations on the board follows other troubling indicators for the state’s transportation system. A recent report by a traffic tracking firm ranked Boston’s rush-hour commute as the worst in the country, and a local business organization recently declared that the state’s transportation infrastructure is under-funded by billions of dollars. On the transit front, MBTA board members Tibbits-Nutt and Lang have suggested state leaders consider increasing the gas tax or expanding highway tolls as additional sources of revenue for the T. The positioning by the very board members whom Baker has appointed — and praised for reforming the long-troubled agency — may persuade the governor to change his stance, said Michael Widmer, former president of the Massachusetts Taxpayers Foundation. Widmer, for his part, has been sounding the alarm about transportation funding for more than a decade; he served on a commission that released a hallmark 2007 report describing the system as financially starved. The result of that work was a 2013 law that raised the gas tax by 3 cents and required it to increase automatically based on the rate of inflation. But just one year later, voters in the 2014 election — the same year they put Baker in office — approved a ballot question that revoked the inflation adjustment. With that memory in mind, DeLeo, for one, seems wary of returning to the gas tax. “People often forget that the Legislature’s attempts to direct money into transportation were reversed at the ballot box,” DeLeo said in his speech to business leaders last week. For now, Baker is sticking to his position that the state does not have raise the gas tax, for example, or increase fees on Uber and Lyft to fund transit. But Baker has noted that he’s exploring one new pot of money — one that has echoes of a gas tax. It’s part of a climate-change plan that Baker and other governors from the Northeast are working on that would set limits on pollution emissions from cars and other vehicles. The plan may include selling emission credits to the fuel industry, which could raise hundreds of millions of dollars a year, while costing indidividual drivers only a few dollars a month. A transportation commission appointed by Baker suggested some of the money could go toward the transit system. Chris Dempsey, director of the nonprofit Transportation for Massachusetts, said the initiative will help reduce transportation pollution. But he said the state must also consider other measures to directly address traffic congestion, such as adjusting tolls to discourage rush-hour driving. Rick Dimino, president of the business group A Better City, said that whatever leaders on Beacon Hill ultimately settle on, they better do it soon. His group recently estimated that the state’s transportation infrastructure is under-funded by more than $8 billion over the next decade. The Baker administration has disputed those findings, but Dimino said that seemingly the rest of the region’s political and business establishment thinks action is overdue. Correction: An earlier version of this story misstated details of the projected transportation funding deficit found in a report by A Better City. Jon Chesto of the Globe staff contributed to this report. Adam Vaccaro can be reached at adam.vaccaro@globe.com.